The new year is off to a start and it’s hard to believe that January is almost wrapped up and in the books. With a new year, it’s definitely time to start planning and thinking about what you’re going to do with your business in 2018, especially in regard to your social media marketing. Where should you spend your time and energy? Should you focus your time on Instagram and bolster your visual posting? Would it be better to grow your likes on Facebook? Do you know what types of posts will be popular and which ones will be ignored? Maybe this is the year that you get serious about your social media marketing or start investing in social media advertising. Despite lacking a magical crystal ball, or the gift of prophecy, we have spent considerable time investigating the web to come up with some theories and predictions for what will happen in social media this year. We believe that having a good idea of what’s coming down the pike will best position you for focusing your efforts and dollars on the platforms and content that will most likely connect with your target users to put your organization or business on the cutting edge of social media marketing. We think that this is probably the year that businesses will find that they can no longer reach people organically only and will instead be forced to rely on social media advertising or will at least need to implement a hybrid approach. Recently, Facebook announced some changes to the way their feed works. Dubbed “Explore Feed”, this new visual update will show a side column that will feature company-only updates. Unfortunately, your updates will not show up in a user’s news feed which is where they likely spend most of their time. This change will also affect all the social networks as they seek to grow monetarily by having companies cover the cost. The social networks built the platform which was free which attracted the users, but now that social is somewhat grown up, they’ll want companies to start spending more on ads to keep them going. 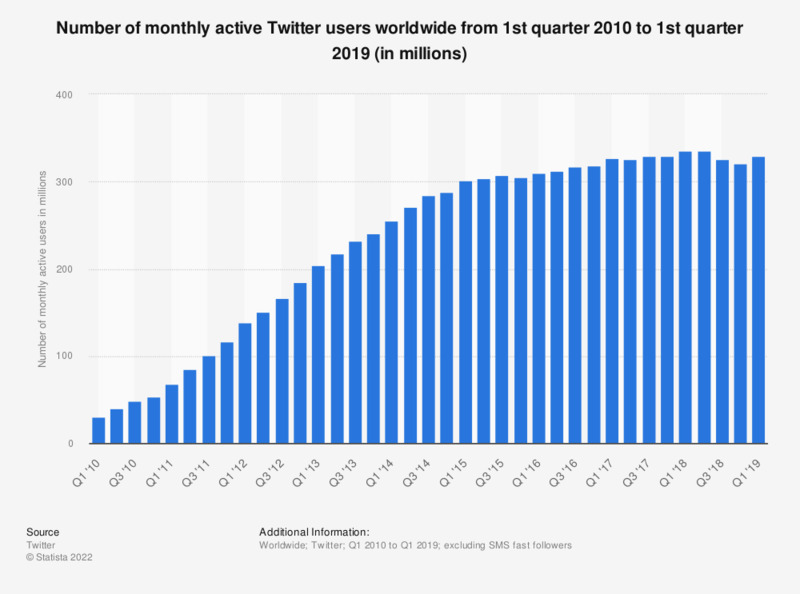 Over the last couple years, the growth of Twitter users has leveled off. Recently, the service increased the character limit for tweets from 140 to 280. Some people have speculated that we’ll see more drastic changes from Twitter this year, such as being sold to investors or undergoing changes to the way advertising is handled. No matter what happens, we are pretty sure that Instagram will overtake Twitter to be in the top 3 for social platforms. For many years, video has been predicted as the next big thing online. Many people have sat back and stayed out of the video world in the hopes that it was just a passing fad and that it would eventually vanish. The truth of the matter is however, that video isn’t going anywhere soon. With the ever decreasing attention spans of humans, well…decreasing, video will continue to become a more important player online in general and in social media content specifically. According to Forbes magazine, video is expected to claim more than 80% of all web traffic by 2019! There are over a billion users on YouTube, which is almost one-third of all internet users. These stats are astounding and it’s clear that audiences prefer video content over all other forms of content. Maybe this is the year for your brand to get on board? If you are overwhelmed with getting started in the video world, we can help. The great news is that your video doesn’t have to go viral or have millions of followers to be effective. The importance is more so who is watching your videos. People who are interested in your video, your content, your company or your product are the people who matter and can turn into actual customers so you only need to reach them. Despite the ever changing landscape in the land of social media and content marketing, one thing will always be true about people and your brand. They seek out and are passionate about more personal experiences with your brand and the technology that delivers these experiences is secondary. They really want to know that there is a person behind your brand. This is why Google continues to put focus on local search and helping people find relevant search results in their own town or city. So what does all this talk of change in social mean to you? Are you looking to make changes to your social media messaging or content marketing? Do you need a partner to walk through it with you?